• You are furious at someone (maybe a family member who betrayed you). • You are thankful and calm, taking every moment as it comes. what you want them to be). Just as we don’t want to throw our money into the wind, it is the same for our thoughts. In the middle of life’s concerns, between the emotions that rise up in us so easily and the tasks that we must be focused on, we have time to think. 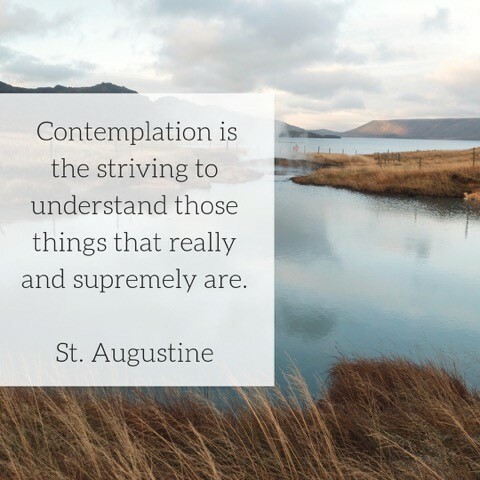 What are you contemplating? • Who do you want to be today? How do you want to interact with others? What qualities do you want to exhibit and share with the world around you? holding? What would your soul feel like without it? you have to NOT do in order to live in that peace? • Maybe there is a Scripture, quote, or concept that could speak to you.